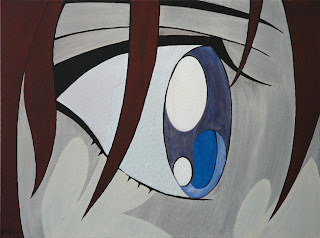 Eye After Nobuhiro Watsuki 1.1, 2008. Acrylic on canvas. At last my new paintings from the Caffé Phoenix show are up. You can find them over at michalwisniowski.com in the painting section. Also up are a whole slew of my graphic design images there in the digital section of the site. Just put it all up this morning!